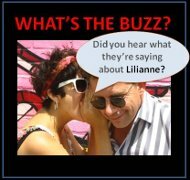 Lilianne, wow! Now this is something to wake up for 🙂 Thank you very much for noticing my work, let alone including in on your blog. When did you visit here? In my moment of starry-eyeness, I neglected your miniatures. Congratulations on the award! I love miniatures – you are really, really good! Wow, Lil… your miniatures are amazing….and congrats on the prize! Di you sell them? Am jealous. .. what a wonderful trip and fabulous artwork. .. wow! Welcome home and to a new year of awareness and creativity! Thanks, and a great year ahead to you too! No work is remotely similar. Beautiful works. Thanks for sharing this. Love seeing the diversity of work.